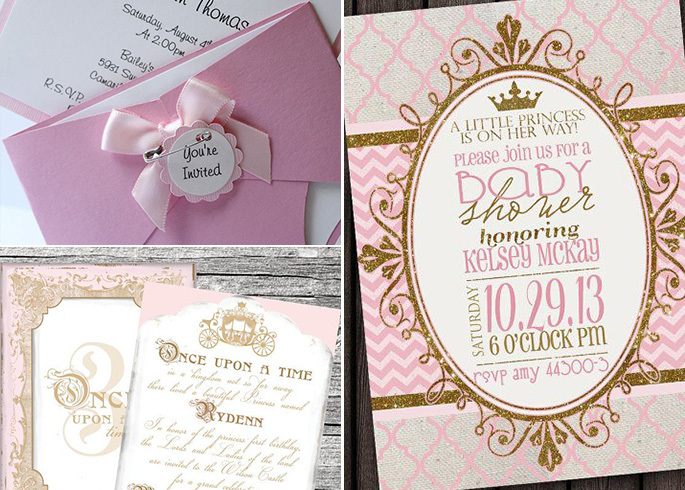 A royal affair begins with invitations. Whether they're elaborate or simple, they set the scene for the upcoming event. Opt for a traditional style with elegant scripted font or get creative with card and design your own - we love the idea of making a paper 'nappy envelope' for the invite to sit in! Party food with a royal twist is a must-have, from snacks and desserts to drinks. To start, sprinkle a little fairy dust over your food table to add a magical touch. 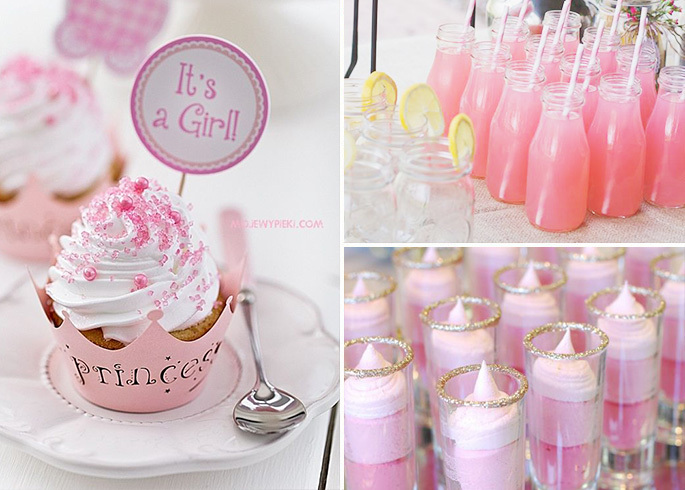 Decorate glasses and plates with glitter and fill with all things pink - mousse, biscuits, cakes and more. Create tiny toppers with card and matchsticks for a fun finish, and serve refreshing pink lemonade to keep thirsts quenched - crystal champagne flutes are optional! 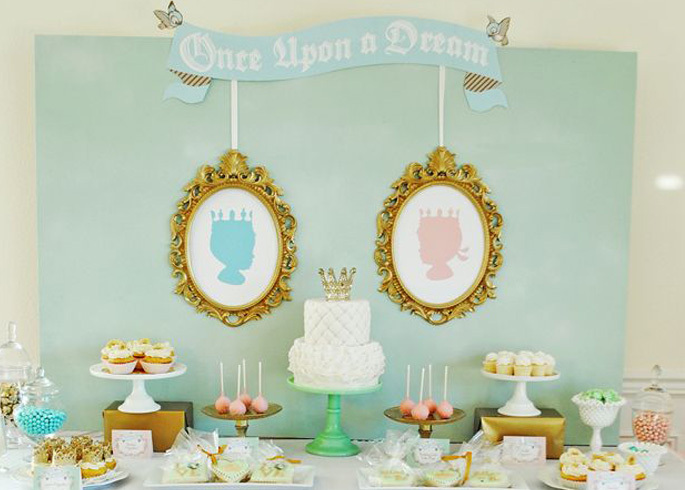 Keeping your guests entertained is one of the most important aspects of hosting a baby shower. Arts and crafts are a fun way to get your guests participating - have a table with ribbons, bows and fabric to create headbands or baby tiaras for the new arrival. 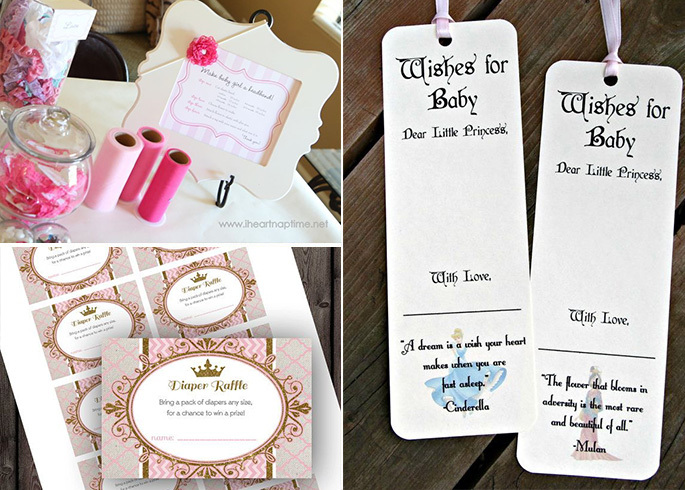 There are lots of fun games online that are sure to get your guests interacting: Guess mummy's measurements, baby birthday predictions, a diaper raffle, guess the royal baby - give them a regal twist by printing them on decorative paper and give out plastic tiaras as prizes! For a special gift for the mother-to-be, make sure each attendee signs a guestbook, or add a personal touch by getting them to fill out a "Wishes for Baby" card that can be passed on when she's older. Everyone's attended and had a wonderful time, so it's customary to present your guests with a little parting gift to remember the event. 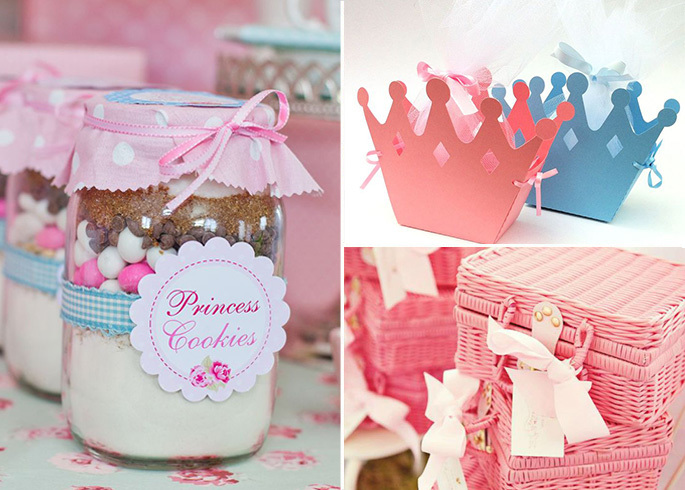 You can't go wrong with food - layer cookie mix in mason jars for your guests to bake princess cookies at home or put some sweets in little crown gift boxes made with card and ribbon. If you really want to wow your guests, fill up baskets with all sorts of treats - sweets, hair accessories, jewellery and stationary will leave them feeling extra special! 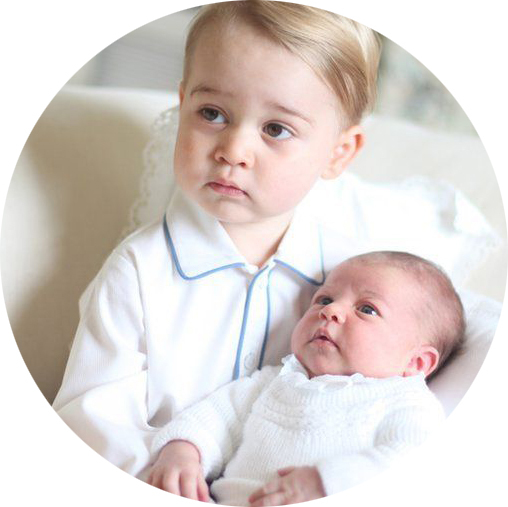 New parents are always taking some important tips on how to celebrate baby shower party from experts. The most common error we are doing while celebrating a baby shower program is choosing the right and unique theme; otherwise we completely lost the charm of the party. So themes are really very important and hope from this above article we learn some tips on choosing right theme. These above collections are really wonderful and look amazing; thanks for such a wonderful post. How brilliant baby shower decoration inspirations!! I just love everything in this article and I really can’t wait to try these ideas in my sister’s baby shower. Well dear, I am looking for some outdoor garden themed Seattle venues. Can you please suggest a few venues?